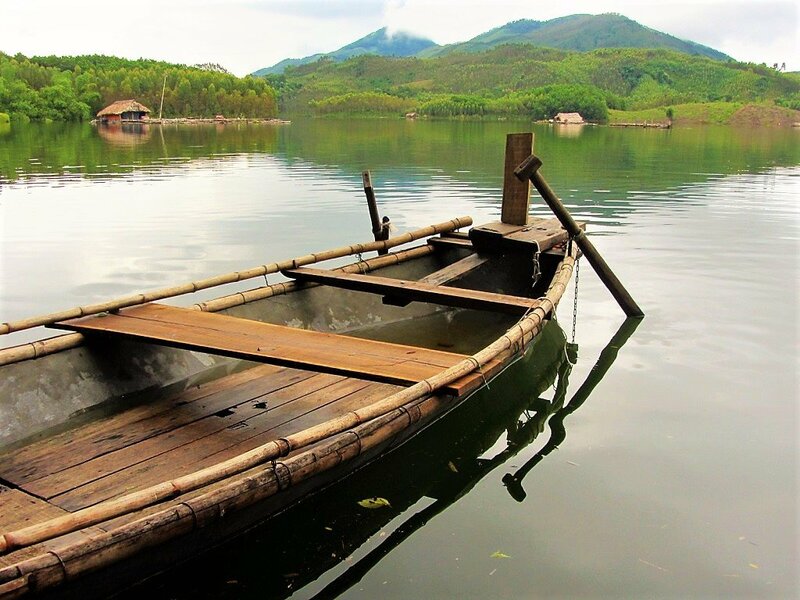 About 150km northwest of Hanoi, Vu Linh is a rural commune on the eastern shores of Thac Ba Lake, one of the largest artificially created lakes in Vietnam. Formed by the flooding of the Chảy River for hydroelectricity projects, Thac Ba Lake is roughly 80km long and 10km wide. Its clear, placid waters spread out in tentacles, peppered with hundreds of hilly, forested islets. 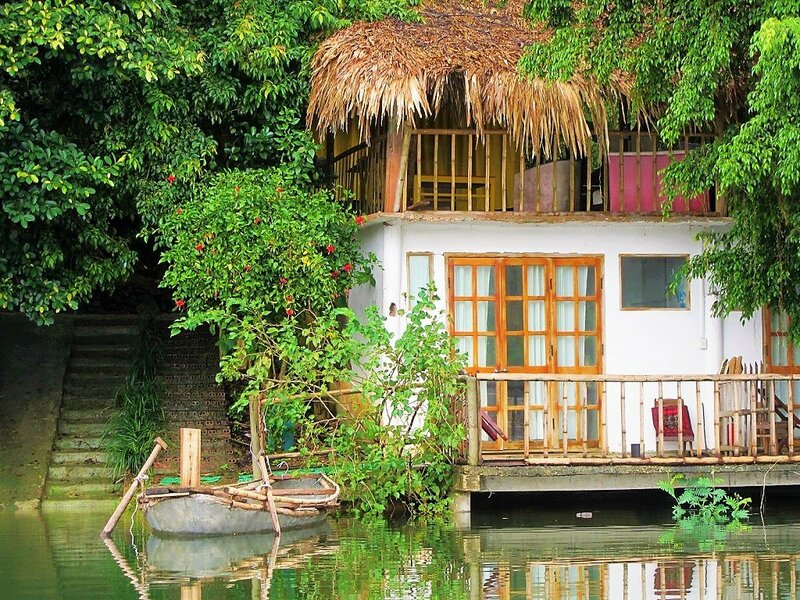 The tiny, lakeside commune of Vu Linh has several excellent homestays, most of which consist of picturesque, palm-thatched wooden houses on stilts above the water and crop fields. 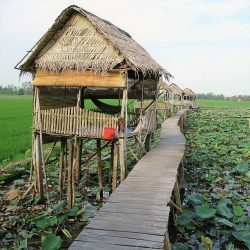 The Vu Linh homestays are inexpensive, extremely atmospheric and friendly, offering lots of lake-related activities, such as boat trips and helping out with local agriculture. 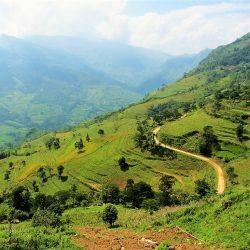 Staying at one of the Vu Linh homestays for a night or two is a very rewarding getaway from Hanoi, or as a way to break the journey between Hanoi and Ha Giang or Sapa. And, best of all, you can swim in Thac Ba Lake. Getting to Vu Linh, on the southeastern shores of Thac Ba Lake, isn’t particularly straightforward. Public transportation gets you near Vu Linh, but not actually to it. Trains on the Hanoi-Lao Cai line stop at Yen Bai, as do buses between Hanoi and Sapa, or between Hanoi and Ha Giang they stop at Tuyen Quang. Either way, you then need to get a taxi or motorbike-taxi to take you the rest of the way to Vu Linh. But it’s worth the effort, especially for those who prefer to leave the beaten path behind. However, by far the best and most convenient way to get to Vu Linh is with your own wheels, whether by motorbike or hired car and driver. The lakeside road meanders along the shore, until small, makeshift signs start to appear for various homestays. Currently, there’s at least half a dozen good homestays in the Vu Linh area, which are spread over a patch of land between the lake road (Road 170) and the lake shore. 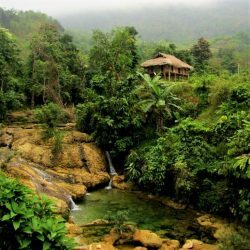 I stayed at La Vie Vu Linh Homestay & Eco-lodge, but I also checked out Vu Linh Farmstay, Vu Linh Family-Homestay, and Vu Linh Homestay, all of which looked great. What’s more, several readers have written to me with positive experiences of them all. Depending on the time of year, some of the homestays are set just back from the lake shore, while others are right on the water. 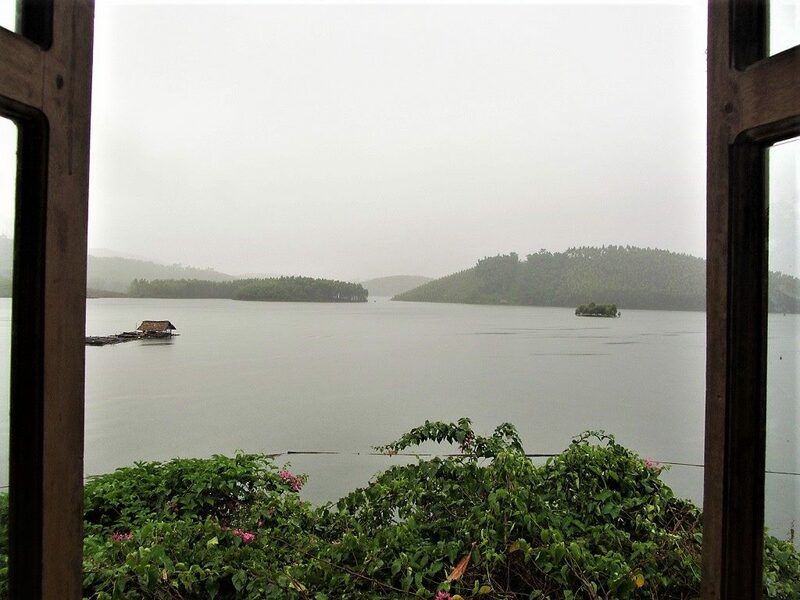 During the rainy season (May-October), the water-level rises dramatically, flooding much of the area, so that even the inland homestays have direct access to the lake. 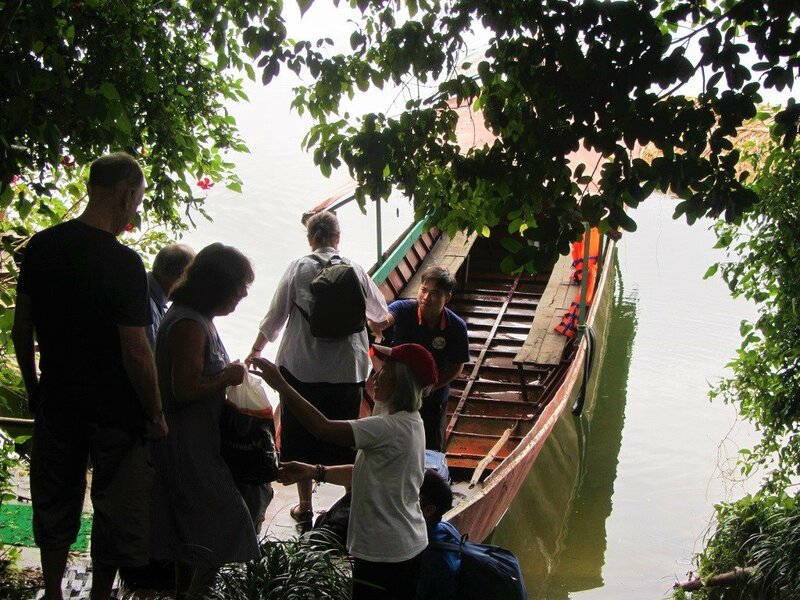 Indeed, if the rains have been heavy, you may only be able to reach your homestay by boat or, as was the case when I visited La Vie Vu Linh, by a self-operated bamboo raft-ferry. 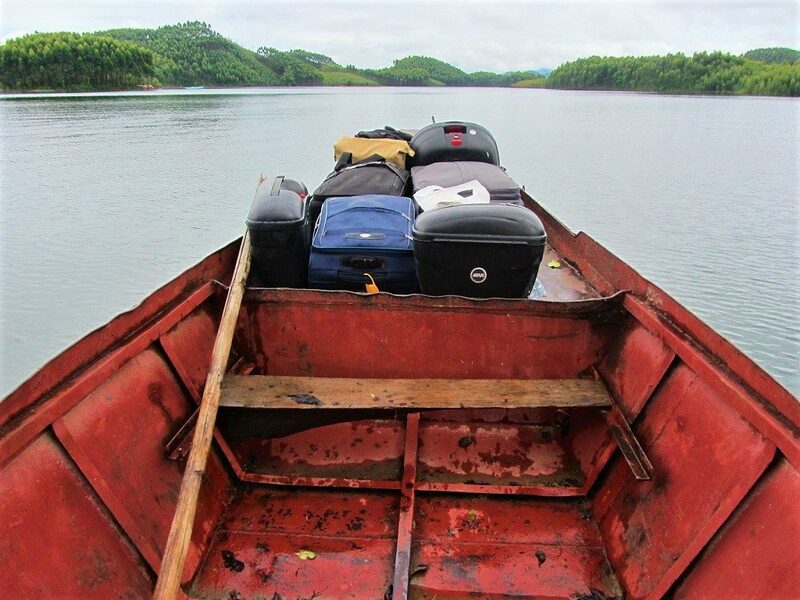 This only serves to make the arrival at your homestay that much more dramatic, and gives the impression of straying way off the beaten path. 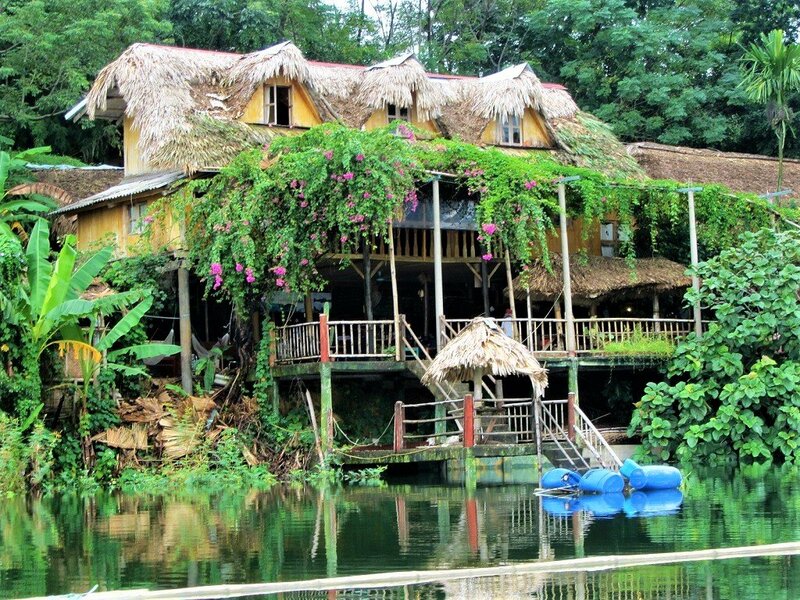 And, in general, the Vu Linh homestays are off the beaten path. The lake road is chewed up in places, public transportation is slow and indirect, and there’s only a trickle of independent travellers who visit. 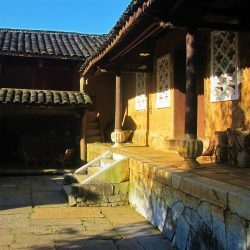 However, the lake and homestays are well-known to expatriates in Hanoi and domestic travellers from the capital, and some of the homestays occasionally host large tour groups and school outings. When I visited, there were no other travellers at all, and everything felt very quiet, remote, and peaceful. But, I would imagine that the atmosphere might be quite different if there happened to be a school outing or tour group staying at the same time as your visit. All of the homestays have inexpensive dormitory accommodation. Usually on the first floor of a communal wooden longhouse, these dorms consist of mattresses laid out on the wooden floor under mosquito nets, partitioned from each other by curtains or drapes. The dormitories are fan-cooled, and there’s also a breeze off the lake coming through the open windows on warm nights (during the winter months it can get quite cold in Vu Linh). The dorms, which have shared bathrooms and showers, are comfortable, clean, cosy, and great value for money: prices range from 50,000-150,000vnd ($2-$6) per person, per night. 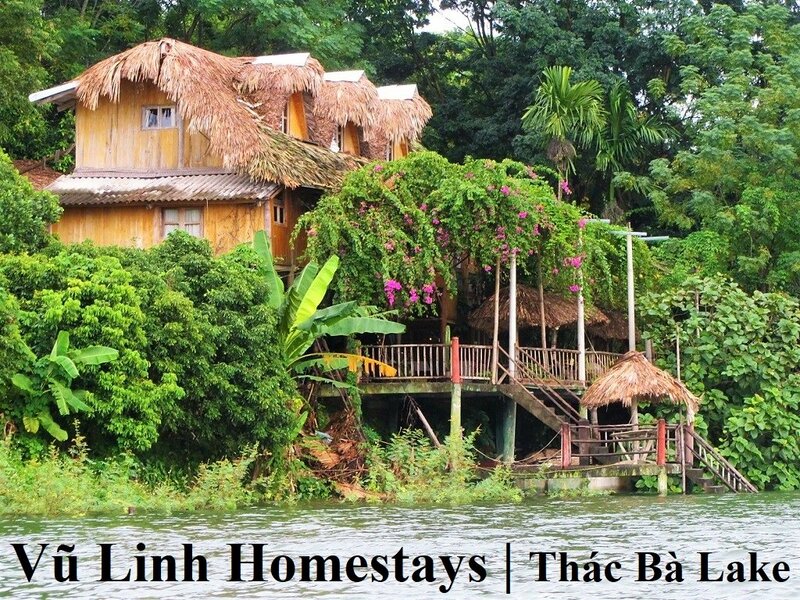 Some of the homestays in Vu Linh also offer private or family rooms. These are larger, self-contained rooms with en-suite bathrooms. At La Vie, the private rooms are particularly atmospheric, with windows and terraces overlooking the water, rustic bathtubs, and mezzanine lofts. However, the prices are significantly higher ($30-$60 a night) and the level of comfort isn’t necessarily much better than the dorms. You’re paying for the privacy and the space, rather than any extra amenities or luxuries. But, it’s worth the extra cost, especially if you’re travelling as a family or a couple. As with other homestays across Vietnam, meals are generally eaten ‘family’style’, as a group sitting on the floor of one of the communal houses. 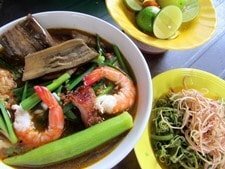 Food, which is a highlight of any homestay, is excellent, locally-sourced, and the cooks can usually cater to vegetarians, too. Meals must be ordered well in advance, because the cooks need to know how many ingredients to buy at the local market. Prices are generally between 100,000-200,000vnd ($4-$8) per person for dinner, and about half that for breakfast. Drinks, such as tea, coffee, and beer, can be purchased throughout the day. At La Vie, there’s a fabulous lakeside terrace bar serving a wide variety of beverages, from French red wine to gin and tonics, familiar cocktails to locally-produced grain alcohol. 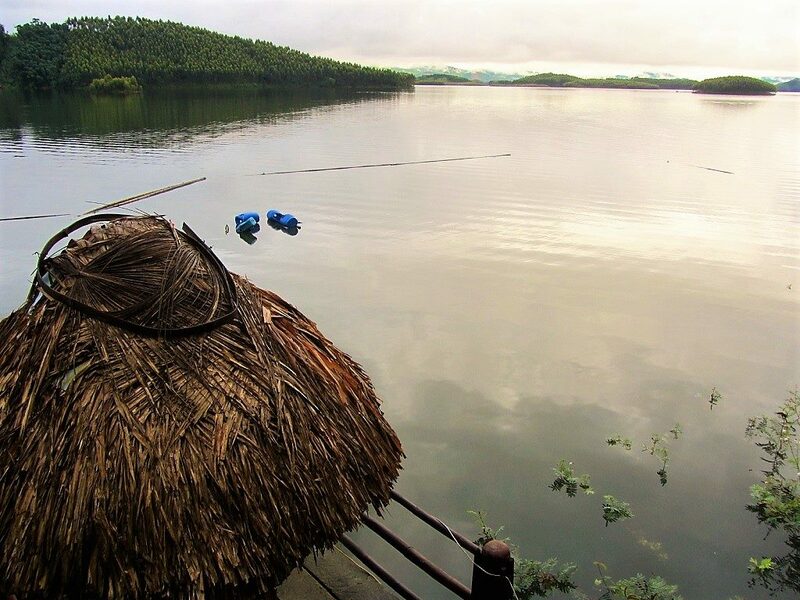 For many of the homestay families, life revolves around the lake and the land, and work changes according the seasons. Most homestays, whether by coincidence or design, are low-impact and fairly sustainable. But at La Vie they make a point of trying to promote sustainable tourism, preferably in a way that gives back to the local community and reinforces good practices in agriculture and fishing. A lot of this revolves around integrating the local Dzao ethnic minority. There are many ways to get involved, most of which are outlined on the La Vie website. All the homestays are warm, friendly, welcoming, and very hospitable. At La Vie, I felt there was occasionally just a hint of ‘performance’ to the hospitality: stories and anecdotes about the local area, people, history, and produce that had been rehearsed and staged numerous times before. But that didn’t make them any less interesting or engaging. 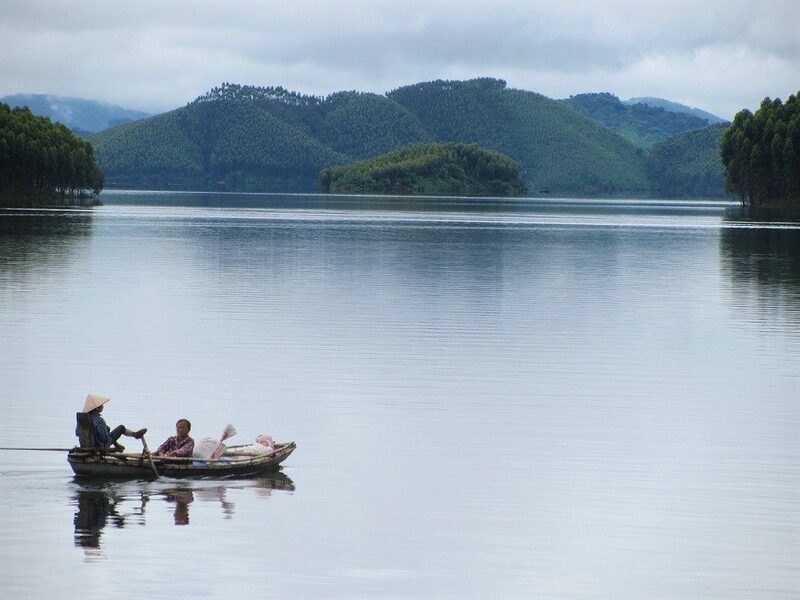 For me, one of the most enjoyable aspects about staying at the Vu Linh homestays is access to the lake. 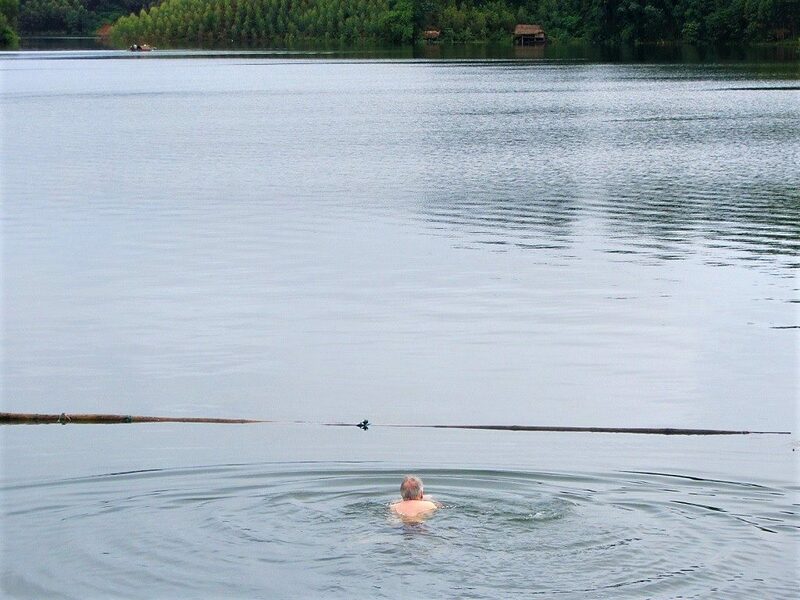 The swimming is wonderful: the entire lake is your infinity pool. When I stayed at La Vie, the weather was horrendous – it hardly stopped raining once, and the landscape was all grey: there was no visible line between the lake and the sky. But as soon as we arrived – I was travelling with my extended family, most of whom swim – we jumped off the terrace and into the lake. It was a gloomy, dark, and brooding dusk with black clouds hanging over the lake, thunder rumbling, lighting illuminating the forested islets, and torrential rain falling onto the black water. 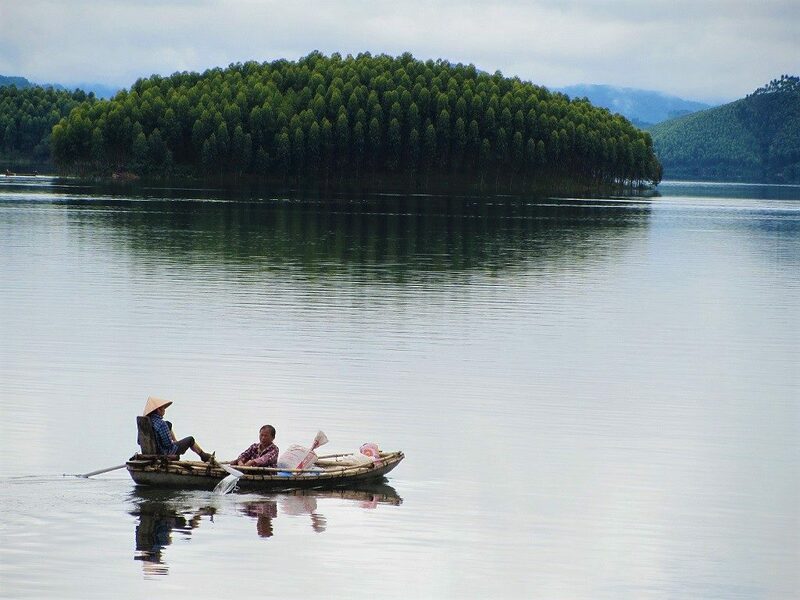 But the lake was warm and calm – it somehow felt safer and more sheltered to be out in the water, floating on one of the bamboo rafts, than on land. Looking back at the homestay, with the lights of the terrace barely shining through the rain and enveloping night, it looked as though Vu Linh were an ark drifting through the storm, while everything else around it flooded and sank. 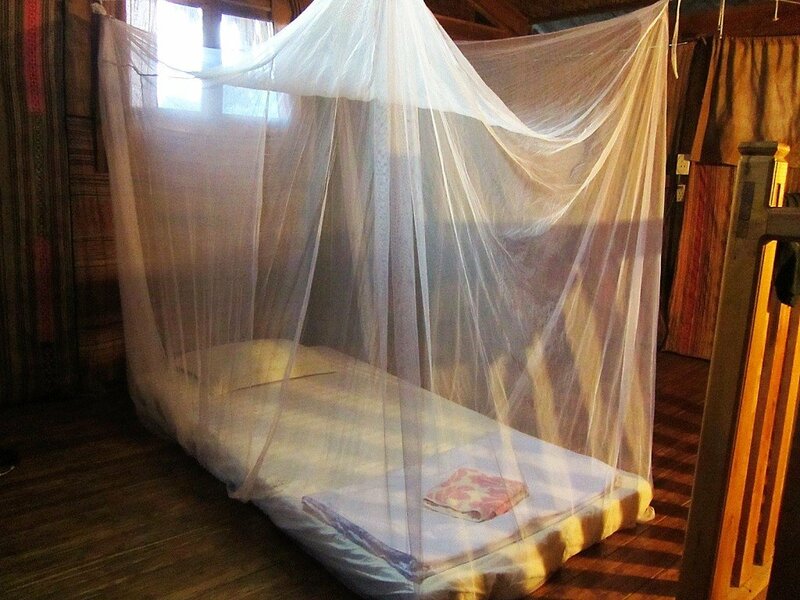 But, just 10 minutes later, I was warm and dry under the thatched roof of the terrace, shooting back corn liquor and eating mounds of rice and local delicacies before going to sleep on my mattress under a mosquito net, listening to the rain falling outside. 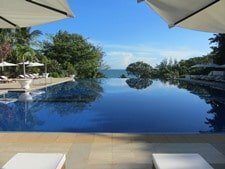 This entry was posted in ALL, Home Stays, HOTEL REVIEWS, National Parks and tagged accommodation, homestay, La Vie, review, sustainable tourism, thac ba lake, Vu Linh. Bookmark the permalink. Many thanks for your fantastic travel advice! It’s all super helpful, and has made my partner and I so much more excited for our upcoming trip. I was wondering if you had any more info on transport options in and around Vu Linh. 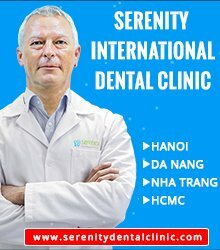 My partner and I are planning to travel to Ha Giang from Hanoi and stop in Vu Linh on the way. 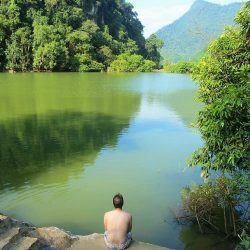 In a perfect world, we’d go from Hanoi to Vu Linh in one day, and then after a few days of relaxing in Vu Linh we’d make our way back to Tuyen Quang to catch a bus the rest of the way to Ha Giang. From what you’ve written, it seems like getting to Vu Linh is a matter of taking a bus to Tuyen Quang (or a train to Yen Bai) and then taking a taxi/motorbike taxi from there to the lake. 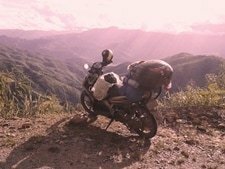 – do you think we would be able to rent a motorbike in Tuyen Quang that we could ride from there to Vu Linh and back? (we’re an American and an Australian with an International Driving Permit but no Vietnamese language ability) That way we’d get some early practice on the bikes before tackling your Extreme Northeast loop, and be more independent in Vu Linh. – once we make it back to Tuyen Quang after our stay in Vu Linh, is it pretty straightforward to hop on a bus going to Ha Giang? And do you have any sense of what time we’d need to get back to Tuyen Quang to avoid missing a ride? Thanks again, would really appreciate any thoughts you have on this! Sorry for the slow reply – I’ve been on a remote island this week. I’m not sure about motorbike hire in Tuyen Quang, but I’m sure you can rent motorbikes or bicycles at the homestays in Vu Linh. I think that’s probably the best option. To get to Vu Linh you can either take those options to Tuyen Quang or hire a car and driver to take you straight there from Hanoi – probably around $80 – you should be able t arrange that through your accommodation in Hanoi or any travel agent there. You could also contact the homestays in Vu Linh to ask about the best transport options to get there. 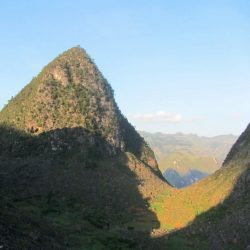 From Vu Linh to Ha Giang, the homestays should have more information about that. I don’t know for sure about buses between Tuyen Quang and Ha Giang, but the homestays should. 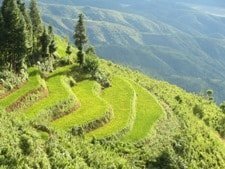 There’s also the option to hire a car and driver from the homestays to Ha Giang – you might be able to spread the cost with other travellers too. Sorry if this is a bit vague – it’s because I’m usually on my own motorbike so I can travel independently. Tom, thanks for all your work. My wife and I are a month into our trip from Saigon headed north following your big one route. We are currently in Tuy Hoa. Moving slow and loving your route. We may need to extend are three month visa to 6 months to get it all in. I was wondering if you have done Loas and Cambodia? We’re going through both of them after Vietnam and before heading back to Saigon to sell our motorbikes. Glad to hear you’re enjoying your trip so far. I just got back from central Vietnam – you might need to expect some wet, grey conditions as you move northwards. 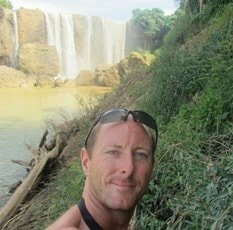 I haven’t been to Laos and Cambodia for a long time so I don’t have any good information about it, but Laos in particular is a great motorbiking destination.